Review by AllTheBestFights.com: 2019-02-02, pretty good finish between Jose Aldo and Renato Moicano Carneiro but it is not enough to get three stars: it gets two (UFC Performance of the Night). 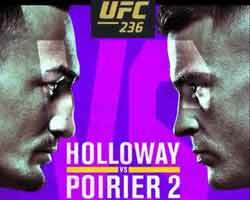 The black belt in Brazilian jiu-jitsu and former Ufc Fw champion Jose Aldo entered this fight with a pro mma record of 27-4-0 (63% finishing rate) and he is ranked as the No.2 featherweight in the world but he lost two consecutive fights in 2017, both against current #1 Fw Max Holloway (Aldo vs Holloway I and Max Holloway vs Jose Aldo II); after these bouts ‘Scarface’ Aldo beat Jeremy Stephens in 2018 (Jose Aldo vs Jeremy Stephens). His opponent, the black belt in Bjj Renato Moicano Carneiro, has a record of 13-1-1 (46% submission victory rate – he has never won via ko/tko) and he entered as the No.9 in the same weight class. He was defeated by Brian Ortega in 2017 (Renato Carneiro vs Brian Ortega) but then he has won over Calvin Kattar (Renato Moicano Carneiro vs Calvin Kattar) and Cub Swanson (Cub Swanson vs Renato Carneiro). 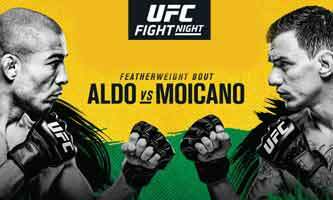 Aldo vs Moicano Carneiro is on the undercard of Raphael Assuncao vs Marlon Moraes 2 – UFC Fight Night 144 (UFC Fight Night on ESPN+ 2). Watch the video and rate this fight!